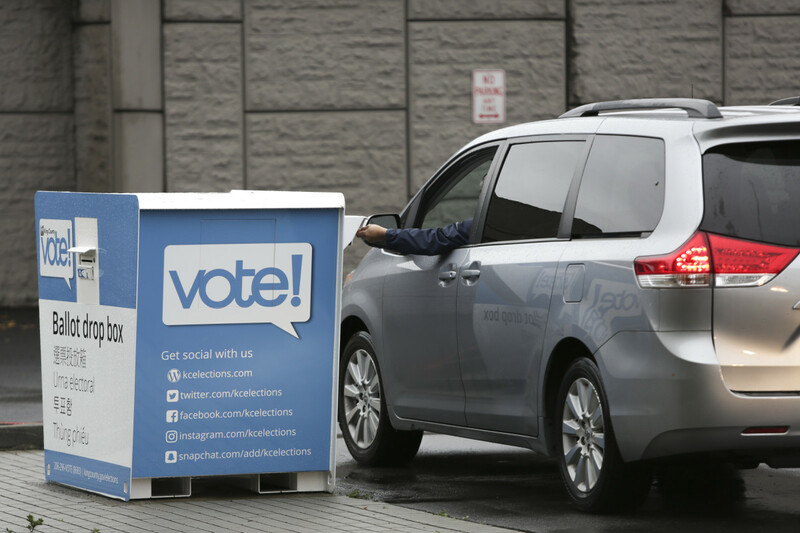 A new bill enacted in Washington State allows each tribal nation to request at least one ballot drop box on their land, among other guarantees. Washington Governor Jay Inslee signed the Native American Voting Rights Act Thursday, enacting a state law designed to empower Native American people to overcome the long-standing obstacles they face when they try to vote. 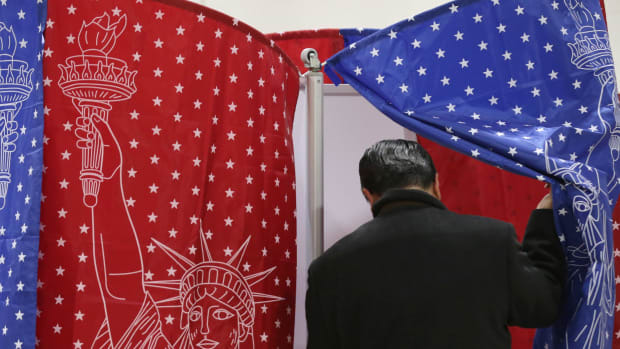 Native voting rights advocates across the nation hope the bill will serve as a model for other states ahead of the 2020 presidential election. The law allows Native American voters to use non-traditional addresses—or, alternatively, the address of a designated building on the Nation&apos;s land—to register to vote. Many Native Americans in tribal nations located in Washington and elsewhere live in homes on unmarked, unnumbered roads. A spate of new voter identification laws requiring voters to submit identification with proof of address have served to disenfranchise Native voters, rights advocates have said. 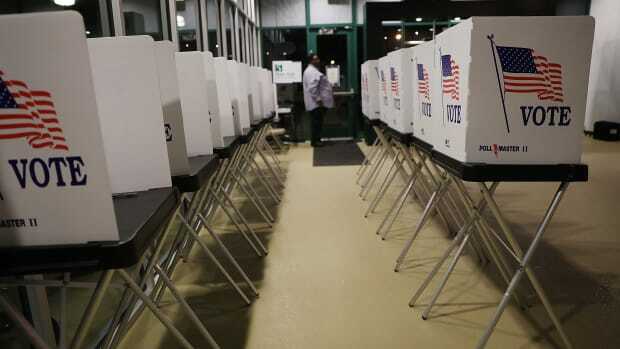 Among other guarantees, the law allows each tribal nation to request at least one drop box for ballots on their land, with the stipulation that the location of that drop box must be accessible to county auditors by public road. Voting rights advocates nationally have decried the distance of polling places from Native American communities, which drastically drive up the costs and sacrifices of voting. The bill passed in the state legislature earlier this month. All of the lawmakers who opposed it—three in the state House of Representatives and 13 in the state Senate—are Republican. Address setting "is a huge part of our voting system and for the Washington State legislature and the secretary of state to concede to tribal governments the power of self-government and self-determination over all lands on the reservation, including addressing, will definitely remove barriers for voter registration in Indian County," says Norma Sanchez, chair of the Colville Business Council&apos;s Tribal Government Committee. Sanchez says that the new law empowers the Confederated Tribes of the Colville Indian Reservation to request a new ballot pick-up location to reduce the literal and figurative lengths that members go to in order to vote. Advocates across the country agree that the law was a major step forward. "All in all, the legislation they passed is excellent," says O.J. Semans, the co-founder of Four Directions, one of the foremost groups involved in talks with Washington and other state officials that helped to encourage the passage of the new law. "We plan on keeping an eye on it to see if there are any problems or not." Some are pushing to enact similar bills at the federal level. Last week, New Mexican Democratic Senator Tom Udall reintroduced a bicameral bill—together with Representative Ben Ray Luján (D-New Mexico)—that would combat residential address voter identification requirements, and guarantee Native American access to the polls. Those bills must pass committee before they go to a floor vote in each chamber. Senate Majority Leader Mitch McConnell has already expressed his opposition to such efforts. McConnell told the Senate earlier this month that a separate voting rights proposal was "one radical, half-baked socialist proposal after another" introduced by Democratic lawmakers. In lieu of federal legislation, some analysts of Native American affairs see the Washington State act as a sign of things to come across the nation. "Many states will no doubt follow Washington&apos;s lead even ahead of such restrictions," says Walter Fleming, professor of Native culture and history at Montana State University. "This will be particularly important where the Native vote can and does impact elections." In Montana, for instance, Fleming notes how Native American comprised a key demographic in the election of Democratic Senator Jon Tester. Fleming warns, however, that "some states will perhaps consider how to minimize the Native vote, to maintain the status quo." While native voting rights secured a victory in the Washington legislature, in other parts of the country groups have had to turn to the courts. Semans recalls that, ahead of the 2016 election, Nevada nations sued state voting authorities over the dearth of polling locations on tribal lands. That litigation prompted state officials to set up polling places on reservations, in some cases for the first time ever. "In Nevada, it took litigation," Semans says. But, he adds, "It&apos;s way better to work with people than go to court and try to force it upon them." 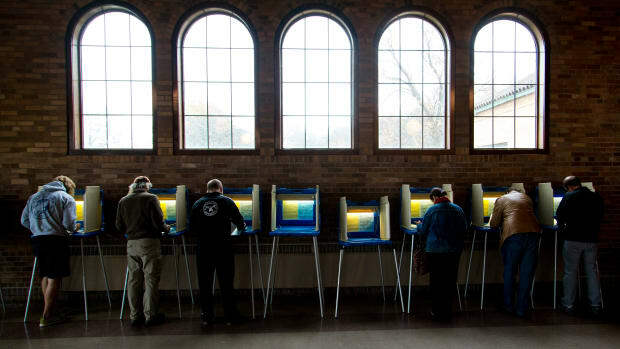 Semans plans to continue ongoing talks with officials in Michigan, in particular, to discuss ways in which that state can reduce the assorted costs of voting for Native Americans there. Others see opportunities for groups to push for more expansive legislative reform. "States can increase Native participation by not only easing requirements for street addresses but by opening satellite polling stations on reservations where citizens may not be able to travel great distances because they live below the poverty line," says Fleming, who hopes they will make that choice. "One of the principles of democracy is the belief that voting is a sacred right. 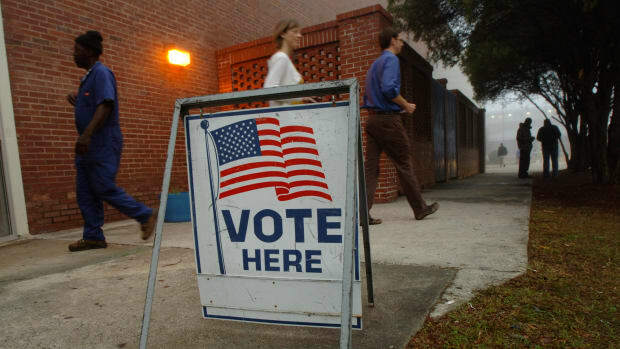 We should be making it easier to vote rather than finding ways to disenfranchise voters." 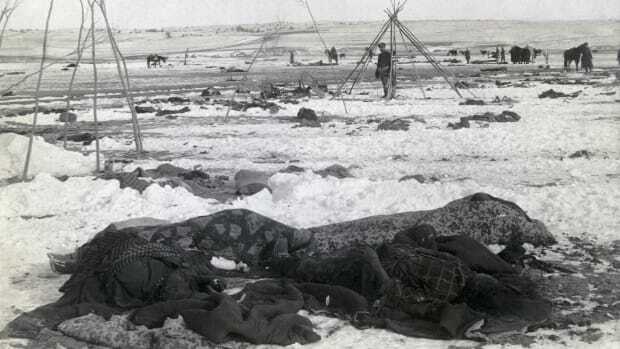 Tweets by Donald Trump about Elizabeth Warren prompted a Native American voting rights group to call for honors bestowed on the perpetrators of the massacre to be rescinded.